Yamas restaurant may be situated in an ordinary street in Belite Brezi District, but everything inside is so authentically Greek and tasty that we quickly forgot the reality of Sofia and wondered what else to order. Like the one in Varna, the Yamas in Sofia is also touched to the last detail - from the pleasant blue colour of the chairs to the small flowerpots with ornamental lemons on the window sills. In fact, the most important thing is not the interior, but the cuisine - and in Yamas they are very proud of theirs. 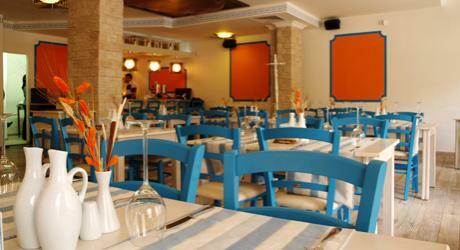 They stake on authentic foods and all products (not just the fish, but also the vegetables) are imported from Greece. Asia, the chef, has selected everything in the menu herself and her long career in Greece is a guarantee for the quality of the dishes. 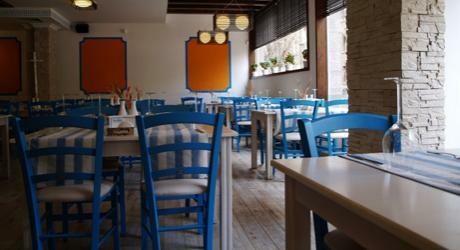 In Yamas they say that "Greek cuisine is not just fish" and that is true - the selection in this restaurant is amazing. 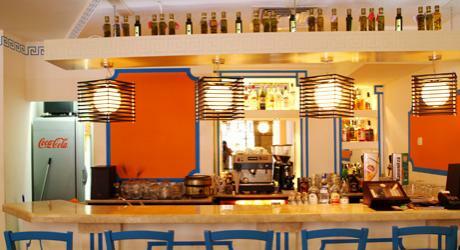 They also provide a rich selection of drinks, including Greek wines and different kinds of uzo.